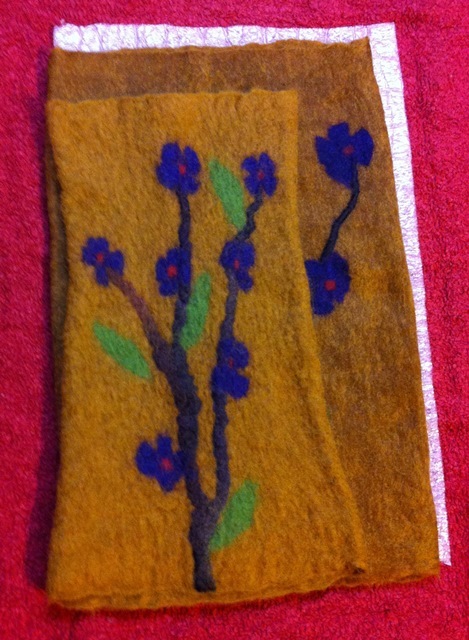 Description: Learn basic wet-felting techniques while keeping your wrists stylishly warm. 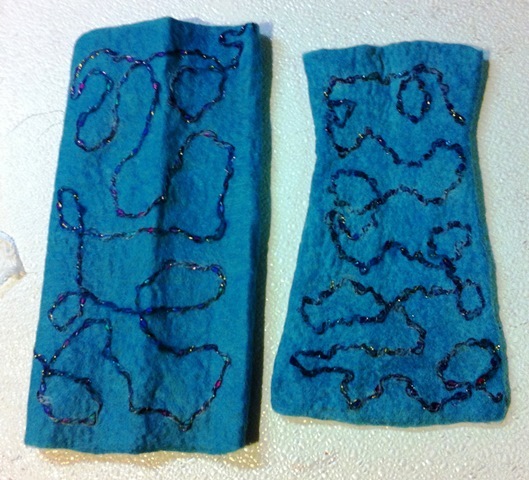 Make a pair of wet felted cuffs that can be embellished in many ways. Keep your hands warmer but still allow full mobility for knitting , spinning or weaving or texting. 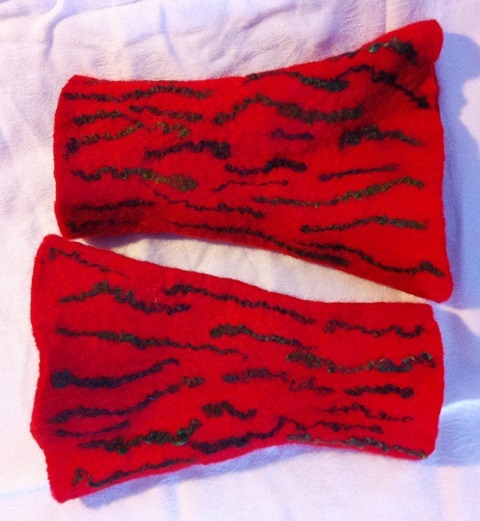 Your cuffs can be small and discrete or big and bold!